Purchase saw chain at discount prices from RCPW. Have your saw chain part number ready? Search for it above to find the chainsaw chain you need! 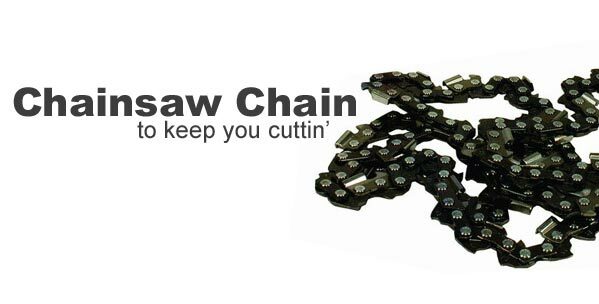 RCPW carries replacement saw chain for many different applications, like anti-kickback safety chain to safely cut down that small sapling in your backyard or saw chain that will cut through metal and other materials. Search for the replacement part you need in the search bar or browse for the chain you need using our parts lookup. Still can't find what you need? Call our friendly customer service staff at 800-937-7279 and we'll help you locate the exact item you need.